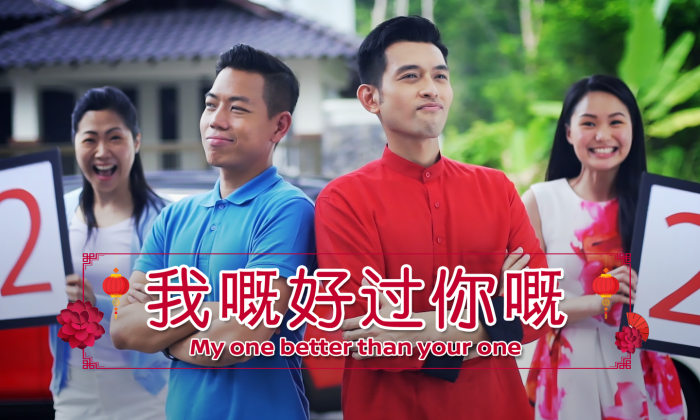 In conjunction with Chinese New Year, NISSAN has launched its latest digital campaign titled “My One Better Than Your One” with its emphasis on family harmony. Conceptualised by digital agency Kingdom Digital, the light-hearted video tells a story of two brothers and their families arriving at their parents’ house for a reunion lunch in NISSAN cars. This leads to a series of bragging and arguments over the meal, where the brothers and their wives take turns to outdo one another about how their lives are better than the other. However, the brothers quickly realise their showdown is insignificant when their parents leave the table. According to the brand, scenes of family members showing off and comparing their accomplishments are pretty common in Chinese families, especially during Chinese New Year. As such, Edaran Tan Chong Motor (ETCM) and NISSAN hopes to take this opportunity to remind Malaysians that life is not about comparing who is better. Rather, it’s about spending quality time with loved ones and celebrating the auspicious season as one harmonious family. The campaign is also supported by interactive social posting to drive engagement. Executed using Facebook, Canvas users will be given a list of lifestyle choices to choose from and their selection will reveal which NISSAN model is most suitable for them. Is Singapore losing local consumers? "I want to buy products that others don't have," said a Singaporean when asked why she travels abroad to shop. Does this reflect o.. According to Fung, his top priorities include giving PIKOM a fresh approach to make the association more relevant to the changing .. The campaign is created with the help of DDB Singapore. ..